Blanket dry cow therapy has been banned in some parts of Europe for more than 20 years. In Denmark, for example, blanket dry cow therapy was banned in 1994 along with growth promotants. Veterinarians were also required to administer all antibiotics. 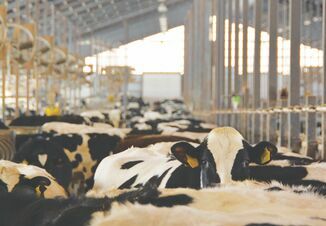 While things went well at first, farmers, veterinarians and researchers noticed that Streptococcus agalactiae infections were becoming more frequent. That was alarming because Strep. ag had been nearly eradicated. In the year 2000, the incidence of Strep. ag was less than 1%. By the end of the decade, it had more than doubled to 2.25%. At the time of the ban, antibiotic use on farms dropped from 90 metric tons to 50 metric tons. But it has since crept up to more than 100 metric tons to treat mastitis and other diseases that had been kept in check prior to the ban. 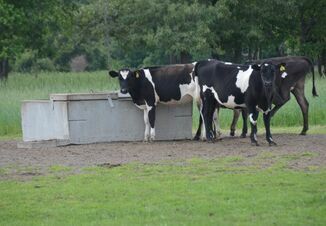 In the Netherlands, blanket dry cow therapy was banned in 2012. By 2014, dry cow treatments had declined by nearly half and have remained at that level ever since. Mastitis treatments during lactation have also declined by 40%—not quite as far or as fast as dry cow treatment. The Netherlands national cell count average was slightly above 200,000 cell/mL at the time of the ban, and now stands at about 170,000. 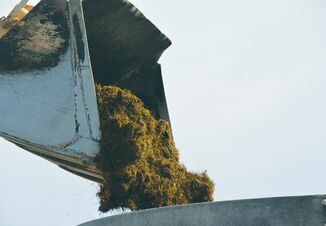 “The results from this study indicate that in the Netherlands, a nationwide forced shift to selective dry cow therapy over a relatively short period of time was associated with no significant changes to udder health during the dry period and with the decreased use of antimicrobials,” says Tine van Werven, with Utrecht University in the Netherlands. But the researcher also notes Dutch farmers also had to be convinced early on such an approach could work, and that they would have to emphasize other management during the dry period. “Awareness of the importance of the transition period improved management, nutrition and hygiene during the dry period,” van Werven says. “These management adaptations will not only be beneficial for udder health but for the total performance of the fresh cow, like reproduction, claw health, metabolic performance and milk production,” she adds. U.S. Corn Sales Break Records, But Will Demand Stay Healthy?